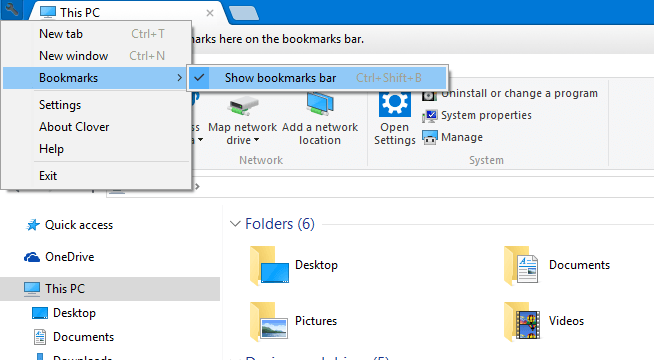 You can create bookmarks, just like in Chrome. Step 1: Download the software. Step 3: If the bookmarks bar, annoys you, you can turn it off. To do so click on settings icon on top right corner > bookmarks > and uncheck the Show Bookmarks bar. Ctrl + Tab: Switch between tabs. Ctrl + W: Close the current tab. Ctr + T: Open a new tab. Ctrl + Shift + T: Restore previously closed tab. Ctrl + D: Bookmarks the current page. If you are one of those power users, who want to keep tabs in single explorer, then clover 3 will surely satisfy your needs. Though there are other alternatives, but clover 3 has better functionalities and aesthetics compared to other and integrates very well with the OS. Thank you guys for reading, stay tuned for more.